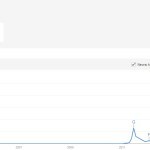 People are slowly becoming more aware of bitcoins. Since their inception in 2009 they have grown to become the first real digital currency. Benefits of trading in bitcoins are crystal clear. The biggest being the ability to circumvent banks. To possess bitcoins you need a wallet (personal bank) to store them in. From there forth, all purchases you make are entirely between you and the seller, meaning that you cannot incur any banking fees as you are not using one. A bitcoin trade is 2-3% cheaper than using a credit card which in the long-run could save you a considerable amount. Another benefit of the system is that more and more companies are adapting to it, and if companies are getting in on it then it is usually a good sign. Companies now allotting for bitcoin transactions range from online casinos (http://www.bet365.com/news/en/betting/), fashion houses and even coffee shops in Holland are accepting the currency. Why: because bitcoins allow for faster transactions between client and producer, therefore increasing efficiency across the board. For those who are partial to gambling then bitcoin gambling may interest you as the payouts are almost instantaneous. Years of monopolies and oligopolies have diminished competition in most areas. However, in the virtual world competition is rife. No company has managed to solidify and cement their place as the hegemonic leader. This should entail greater competition and thus further innovation. As a consumer this is what you want to hear. Competition leads to a reducing of prices whilst innovation is what makes the world go round. Be warned, bitcoins are not without their faults, the most notable being the instability of the currency. The toxicity of the currency was never more apparent than the final months of last year. 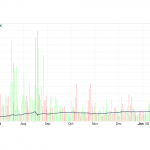 At its peak a single bitcoin was worth $1135, three days later it had fallen to $693 due to the Silk Road bust. At its height 10 bitcoins would have been worth $11,350, yet, three days later just $6,930 – that is a depreciation of $5,420. The unpredictable nature of the currency is certainly its biggest drawback. It gives rise to those who like to speculate on the market, which, as we saw with the market crash in 2007, is not a good thing. This artificial fluctuation of the currency value can lead to great returns if you are fortuitous but it can also lead to catastrophic losses, made all the more severe by the lack of government control and backing – banks may be too big to fail but bitcoin certainly is not. At the minute, bitcoins are very much a double-edge sword. If there is a mechanism in place to stop the mass fluctuation then they are very much a tool for good and something that should definitely be looked into by any who is trying to save money. Faster, cheaper and more efficient are all redeeming features of bitcoins and once it becomes a stabilised currency it should be considered by anyone active in the economic marketplace.